" They were amazing on the night, high energy and authentic"
The event co-ordination company, Dream Occasions were organising a joint 50th birthday party with a “White Mischief” theme to emphasis the birthday duo’s brief of a grown up theme with a twist of fun. White Mischief is an 80’s movie about the lavish British lifestyle in Kenya. Music was a vital ingredient in bringing the theme to life, Dream Occasions were looking for an entertainment group whose performance would set the tone for the party from beginning to end. 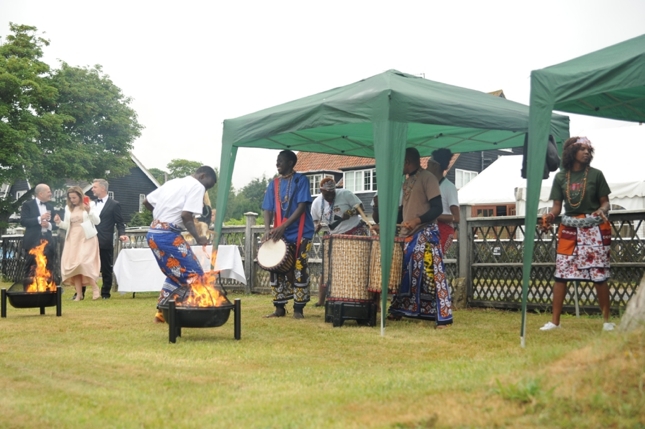 Keeping with the clients brief, we provided a Masaai group who integrated singing, drumming and dancing into their performance. For the guests grand entrance the Masaai group welcomed them with the sound of their drumming and singing. 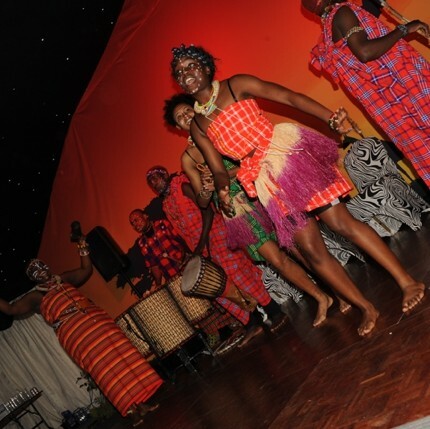 Their evening performance of singing, drumming and dancing created an energetic atmosphere which encouraged the guests to join in and hit the dance floor.